This boat was donated to The Center For Wooden Boats in 1999 by Dave Lesser. Dave bought her in 1984 and sailed her for a couple of years before being transferred to Germany. She sat in storage for 10 years and dried out so badly that she needed a major rebuild. 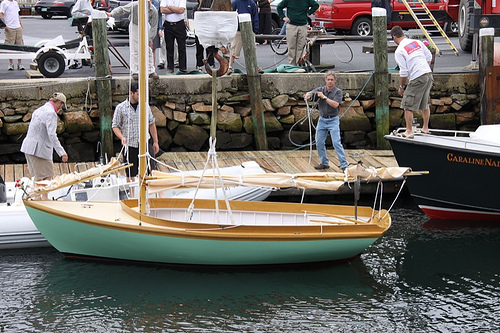 Her restoration was completed by The Center For Wooden Boats in 2009.